If you want an answer: ask the question, ask and ask again, keep turning over stones, keep kissing frogs, until you find the one you want. The interview process for a new flatmate had been dragging on. The Co-op sends a list, we call the people, filter out a few nutters and ner-do-wells. Stay in a couple of evenings waiting for no-shows and just when we were thinking we’d have to start again in the new year the corner is turned, a nice chap turns up on one of the interview nights. The others like him and tell me they’re happy to live with him, if I like him he’s got the room. We’ve chatted for a while. Seems like a good guy, I’m about to tell him he’s got the room if he wants it, when it occurs to me that I’m not just the mild mannered plumber and building contractor from the room next to the kitchen, I also have another identity, an alter ego, a super-hero identity. I’m SBW. The Suburban Bushwacker himself. 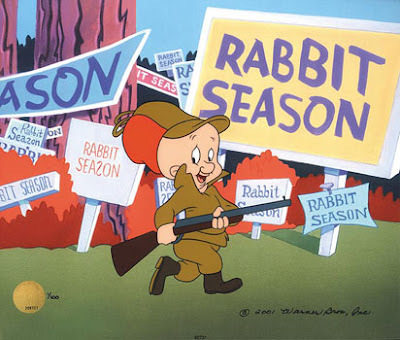 So the new-year is shaping up well, bathrooms to build, and Rabbits to hunt, wish me luck.